It’s no secret that the solar thermal market — tech that uses mirrors and lenses to concentrate sun rays and turn the heat into electricity — hasn’t taken off as quickly as expected. But Schott Solar’s announcement on Friday that it plans to halve its factory capacity for solar thermal equipment and will lay off 30 workers is a sobering reminder of some of the hurdles ahead for this emerging industry (or re-emerging, depending on your perspective). Schott announced the suspension of one of its two production lines in New Mexico because of the “slow growth of the North American market and the slowdown in the Spanish market,” according to a statement from Schott. Schott only opened its $100 million manufacturing complex, which also makes solar panels, last year when demand already was soft. Schott makes glass-coated steel tubes call receivers that are used specifically in power plants with curved mirrors called parabolic troughs. Back in April last year, Schott North America’s CEO Gerald Fine told me that the company was shipping equipment to U.S. customers, likely for trials, but he wouldn’t disclose names. Since then, Schott has been shipping most of the receivers from the factory to Europe, mostly Spain, said Matthew Kraft, a company spokesman. Europe is where most of the solar thermal power plants are. Spain, in particular, has been a hot bed of development because of the amount of sunlight it gets and its feed-in tariff policy. But Spain’s faltering economy has prompted the government to re-work its solar incentive program, and some of the developers there are delaying projects, said Nathaniel Bullard, an analyst with Bloomberg New Energy Finance. “The main thing for Schott is that its market isn’t in a deployment mode,” Bullard said. The U.S. has seemed to be a promising new market because many of utilities are required by their state regulators to increase their purchase of renewable energy. Developers such as Abengoa Solar, Solar Millennium and BrightSource Energy have inked power sales contracts with large utilities in California, Arizona and Nevada. But getting permits and financing is tough. It doesn’t help that many of those proposed projects are hundreds of megawatts each, which requires billions of dollars to build. But the large scale is often necessary for the projects to be economically feasible. For solar thermal project developers, inking power sales agreements alone isn’t good enough to attract investors. 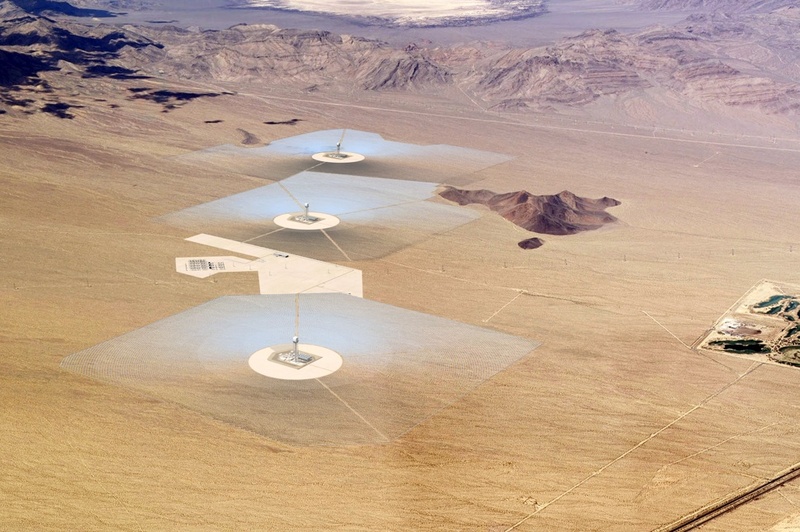 Investors tend to be skittish about betting on emerging technologies, and concentrating solar thermal technologies do fall in that category. Although the idea of harnessing the sun’s heat to produce electricity isn’t new — and 354 megawatts of solar thermal power generation materialized in California between 1984 and 1994 — the market for the technologies has remained tiny. The U.S. government has played Santa by delivering much-needed loan guarantees to help a few developers get financing. It has approved loan guarantees of $1.37 billion for BrightSource’s Ivanpah project in California and $1.45 billion for Abengoa’s Solana project in Arizona. Other proposed projects haven’t been so lucky. NRG Energy, which develops projects using eSolar’s technology, decided to scrap a proposal to build a 92-megawatt solar thermal power plant to sell electricity to Pacific Gas and Electric because it wouldn’t be able to start delivering power on-time if it had continued to wait for word about its federal loan guarantee application, said David Knox, a NRG spokesman. Instead, NRG plans to build a 66-megawatt project using solar panels, Knox said. It’s the same story for another NRG project, a 92-megawatt solar thermal plan for selling power to El Paso Electric in New Mexico. Now NRG is working on a 20-megawatt project with solar panels for El Paso. It’s becoming clear to some developers that solar panels can be a more attractive option than solar thermal technology, because solar PV can be deployed more quickly, can be less expensive in some cases, and because often times solar PV doesn’t require transmission lines be built out. Although Schott has to scale back operation, it might not have to for long. There is some good news in the solar thermal world. On the same day that Schott announced the layoffs, a committee of the California Energy Commission recommended approval for Abengoa Solar’s 250-megawatt project called Mojave Solar. If all goes well, Abengoa could get the final approval from the commission and start construction in the fourth quarter of this year. The project uses parabolic trough solar thermal technology. About 4.3 gigawatts of parabolic trough projects in the United States are in late permitting and planning stages, so that much power could come online in the next few years, Bullard said. Hopefully this situation sorts itself out, not only for the 30 workers mentioned but the industry itself. The PV solar market is terrible at the moment with a global shortage of panels bringing some companies here in Australia undone! The 30 employees laid-off were hired as temporary employees in the first place. I think at the end of the day this technology is so new and always rolling out even newer versions that we haven’t had the time to tell if it will work. We’ve given oil a few decades to prove its superiority its only fair we give things like solar thermal a few more decades to work out the quirks. Despite everything, I believe the lookout for CSP is rather bullish. Not only, as stated here, are many big projects in the pipeline both in US and Spain, but new actors are going to weigh in, in the mid term. Projects-wise, let’s not forget about the Desertec Initiative, that is quickly taking shape in the Mediterranean region and will involve several GWs of CSP plants. Manufacturing-wise, the opposite of Schott Solar’s layoffs is happening in Italy, where receiver pipes’ manufacturer Archimede Solar Energy (backed by Siemens) is ramping up production of its brand new pipes for direct use with molten salt, from 75,000 to 140,000 pipes a year, equivalent to 280MW of power output. The first plant to feature those pipes is the 5MW Archimede pilot plant in Sicily, Italy (I recently posted an article on this plant on my blog: http://www.opportunityenergy.org/?p=94, also published on the Guardian website). Hopefully, we are up to a lot more good than bad news for this renewable technology.